Keep Your Child Safe Every Time You Strap Them with the Britax Frontier ClickTight! Did you know that last week was Child Passenger Safety Week??!! In my opinion, every day and every week of the year should be Child Passenger Safety Week because it is just that important! Every time I strap my kids into their car seats, I wonder if they are safe, what would happen if we got in a car accident, and I pray that I have done everything in my power to make sure they are safe every time I get into the car! 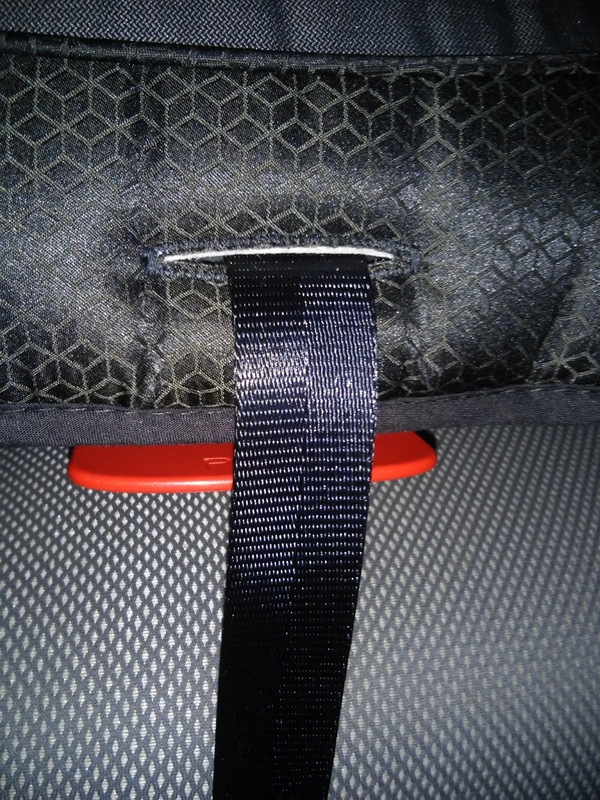 The most important way I ensure that my kids are safe EVERY TIME they get in the car is by making sure they have a car seat that is built to keep them safe and that the car seat is installed correctly so that it will keep them safe in the case of a car accident! 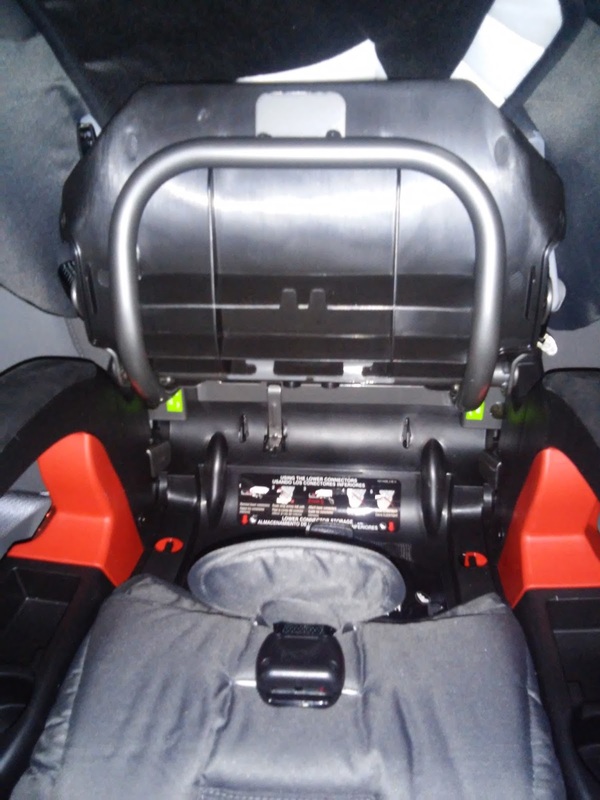 But we all know as parents with small children that installing a car seat can be time consuming and frustrating. 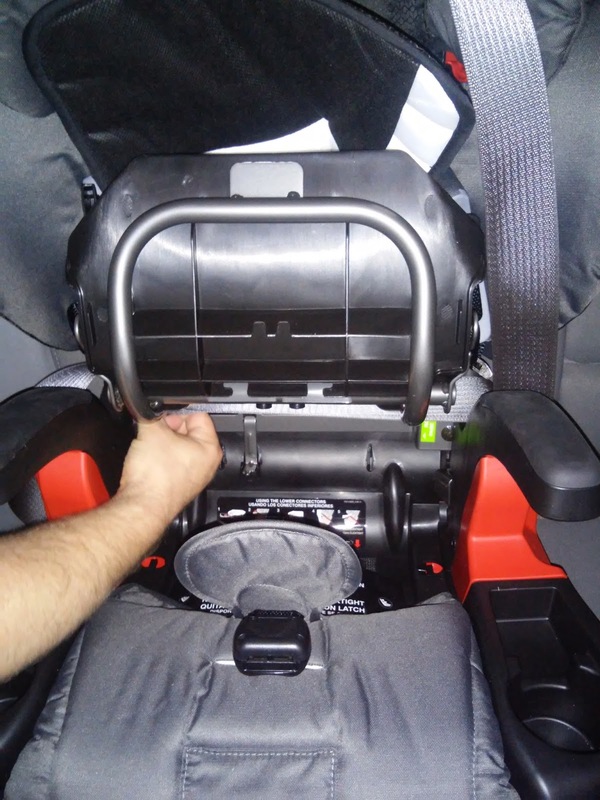 We are at this time installing three car seats (and I definitely give my husband credit for doing it often!). 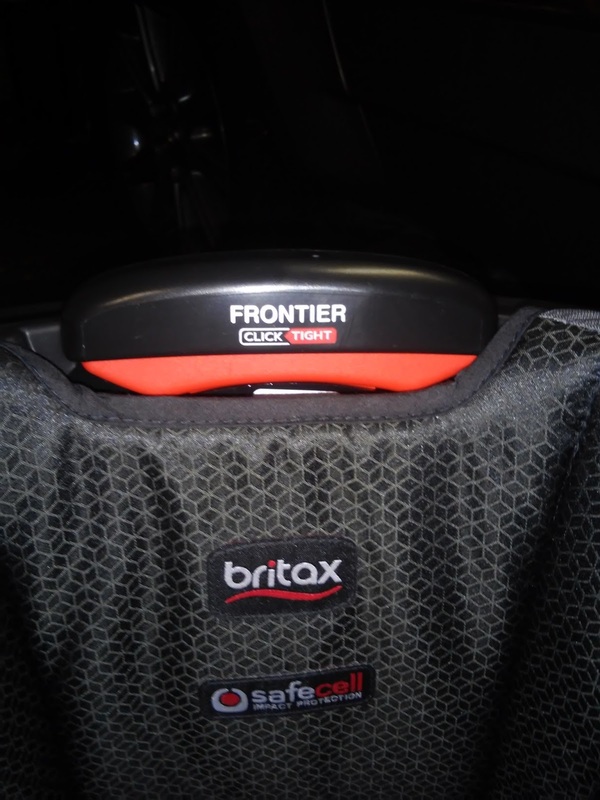 But we are given a sigh of relief every time we have to install the car seats because we have the new Britax Frontier ClickTight Combination Harness 2-Booster and it is so much easier to install than anything we have had before! 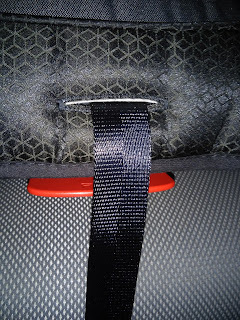 The Frontier ClickTight is a top-selling combination seat that pairs an extra layer of side impact protection along with the super-easy ClickTight Installation System – so you have peace of mind knowing your child is protected. This car seat is really heavy duty, is easy to adjust for height and for installation and I know it will keep my children safe! 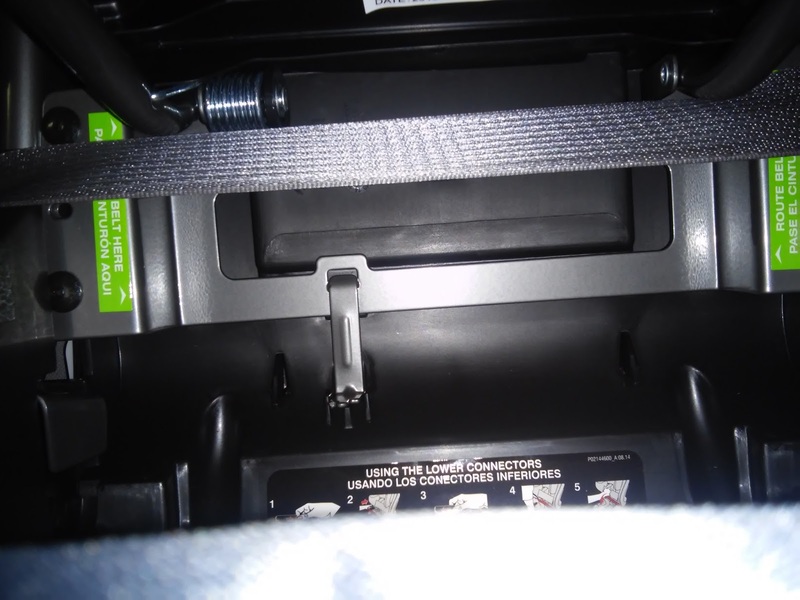 Once we figured out where to open up to install the seat belt, it was really easy to do. You just pinch together the little buttons and then pull it up. Then you will see where the seat belt goes. You then just pull the seatbelt across the green belt guide, pull it tight, and click it shut! I never have to pinch or break my arms trying to pull the seat belt through the back of a seat AGAIN! 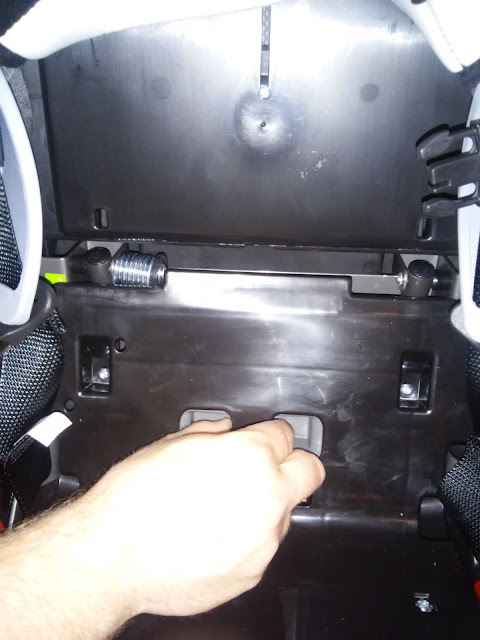 I also like how the seat adjust for height at the top of the seat with an easy pull lever. That will be great when my kids get older! You just pull the lever in the head restraint and the seat back moves up to adjust to the harness and head restraint height for your child! 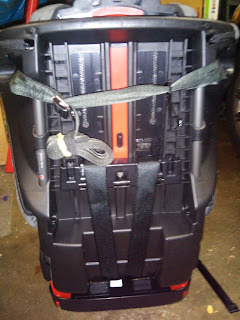 You adjust the straps to be tighter by pulling the strap just below the 5-point harness buckle. One downfall for me is the strap loosener. We could not figure it out for a long time where the "button" was and the directions weren't very clear on how to make it work. So for everyone considering this seat, I will save you the searching and let you know it is in the tiny little pocket shown above. You stick your finger in there and search for a little button. Push that and the straps will loosen. 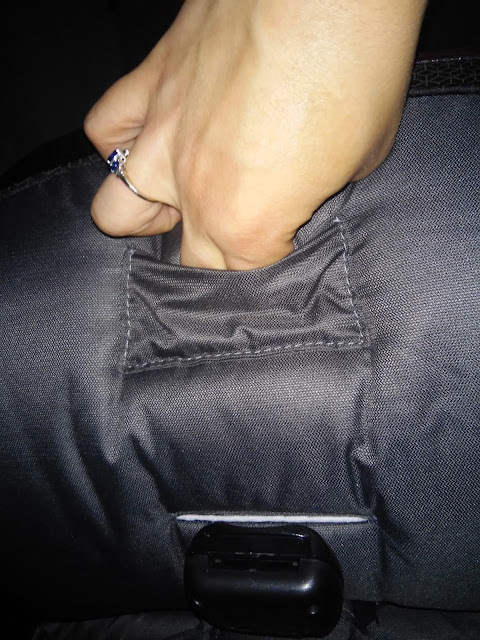 I just wish they would put a little symbol or direction on the pocket for parents or relatives like grandparents who might need to use the seat once in awhile and will have no idea how to loosen the seat. 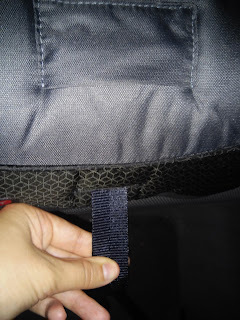 However, I do see that the reason they hide it is so that the child sitting in the seat can not loosen the straps and endanger themselves. I would just appreciate some kind of marking as to what it is or how to adjust it for adults' sake. Another thing to keep in mind when considering this car seat is that I thought this seat was VERY heavy (it weighs 25 lbs)! 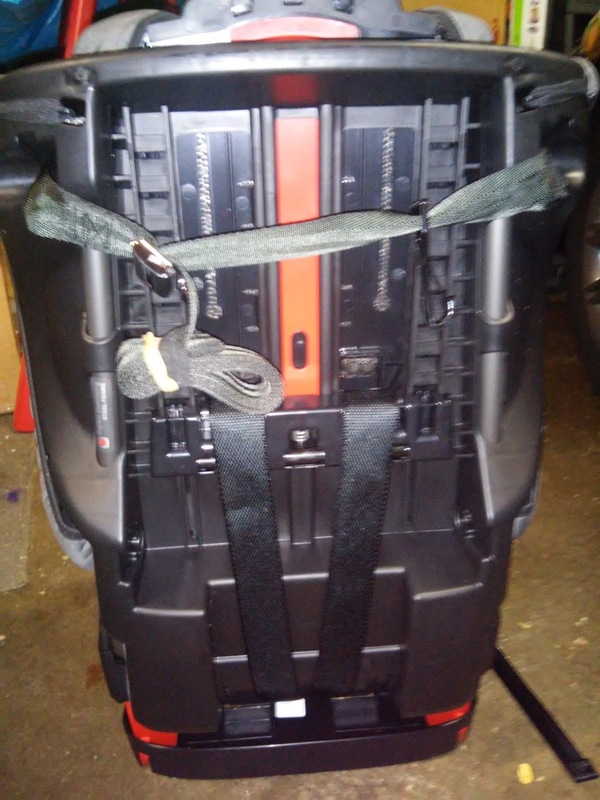 I did struggle to lift it by myself and, although it does make me feel like it is very safe, it might not be good for people who need to move seats from car to car often. 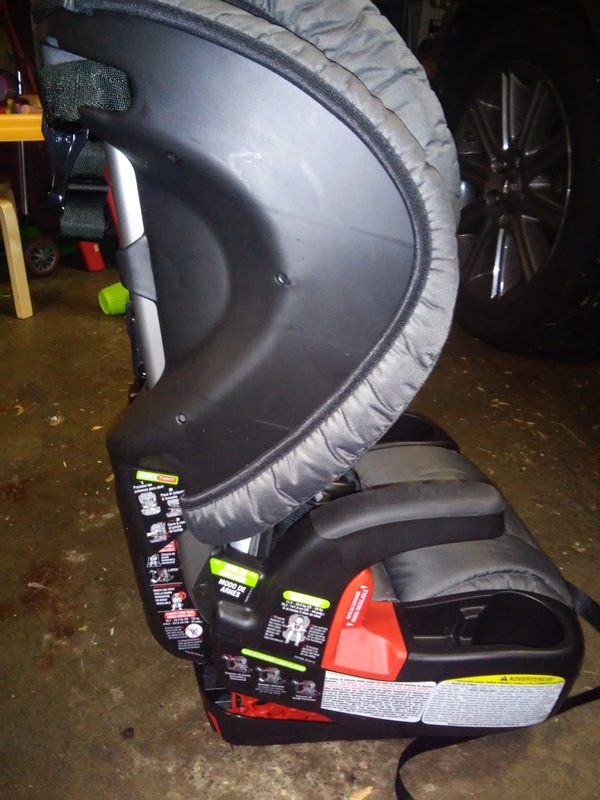 Other than those two things, we REALLY LOVE this new Frontier ClickTight seat and will be using it for many years to come, since it does have a nine year life span. I feel great knowing my kids are very safe every time I strap them in and I also don't dread installing the car seats anymore!!! 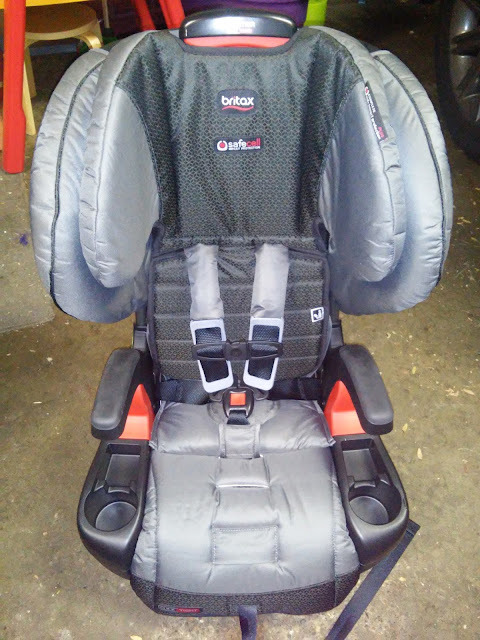 Thank you Britax!! This seat is a forward facing and booster seat and is not a backward facing seat. Therefore, this seat is only appropriate for children starting at 25 lbs and 30 in of height. It can then be used for children all the way up to 120 lbs and 62 inches of height! As you can see, it will definitely protect and grow with your child for many years! So where do you get this great seat? 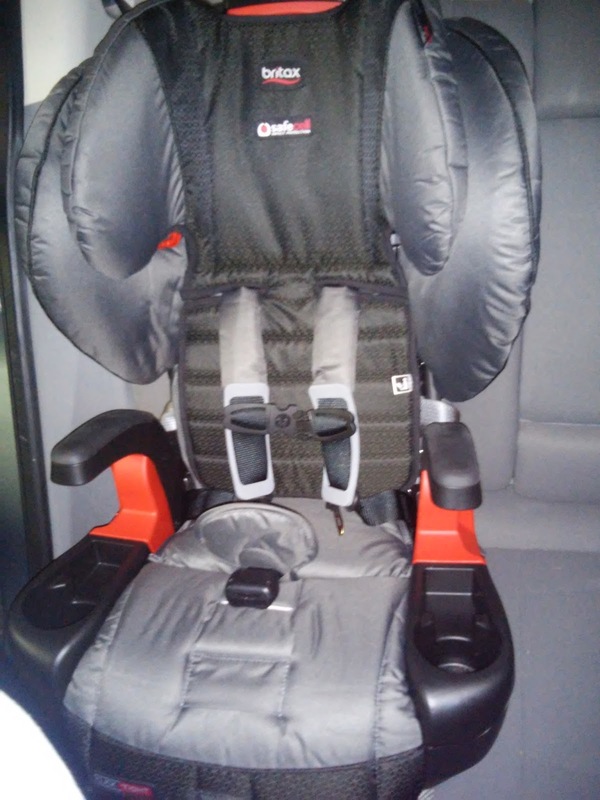 You can purchase this awesome car seat from a Brixy member store -- a trade association for independent juvenile retailers in U.S. Plus, they are the only ones to offer the black/gray color pattern called Dylan (shown above) because they are only at select Brixy stores while supplies last. Plus, Brixy stores are located coast-to-coast and each store’s knowledgeable staff can advise parents on current laws and more importantly, best practice. You will learn all about how to keep your children safe every time you strap them into their car seat! You can purchase the Frontier ClickTight harness-2-booster for $329.99) in the Dylan pattern only available at select Brixy stores while supplies last.